How can occupational therapy help my child's cerebral palsy? Occupational therapy is a critical part of any cerebral palsy treatment program. The goal of occupational therapy is to promote a patient’s ability to perform daily activities in a way that will enhance quality of life and increase independent living skills. During an occupational therapy session, the therapist will guide the patient in adapting, compensating for their limitations, and achieving maximum function levels. Therapists take into account physical functioning abilities, cognitive functioning levels (reasoning and processing skills), emotional needs and desires, and the patient’s willingness to adapt and compensate. The existing home environment and support system play a crucial role as well. Patients who can follow directions and have spasticity of certain muscles in the wrist, forearm, or muscles that control the thumb may benefit from intensive therapy. Activity-based interventions such as modified constraint-induced movement therapy (mCIMT) and bimanual intensive rehabilitation training (IRP) can improve the patient’s ability to use the impaired upper limb(s) and improve performance in personal care. One study found that more benefits were seen from intensive treatment than in the standard treatment; in mCIMT, grasp improved, and in IRP, spontaneous use in bimanual play and activities of daily living in younger children increased. Children with cerebral palsy benefit from therapy because it teaches them how to develop and maintain a daily routine, which contributes to independence and quality of life. As children grow, they want to handle tasks to the best of their abilities without interference. Occupational therapy also enables children to respond to life’s demands, setting the stage for relationship development, self-care and educational and employment pursuits. Does your loved one have a permanent birth injury or disability and require occupational therapy? Did this birth injury result from an act of medical malpractice? 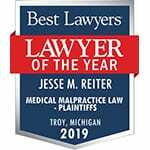 If so, we urge you to reach out to the Detroit, Michigan cerebral palsy and birth injury lawyers at Reiter & Walsh ABC Law Centers for a free legal consultation. Our attorneys focus exclusively on birth injury cases, and they have the extensive knowledge and experience necessary to win these highly complicated, multi-million dollar cases. 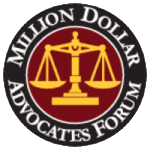 To start your free case review, contact our legal team by phone at 888-419-2229 (toll-free), contact us online here, or press the Live Chat button on your screen.